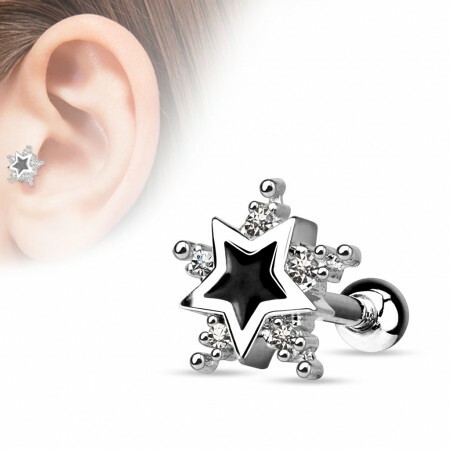 This tragus piercing managed to combine small and fine with striking. With its silver colour as the basis through the use of steel, the black star becomes more striking. The black inlay conists of a special coating making the black colour very durable. The give the whole that little bit of shine you'll find clear crystals in each corner of this star. Thanks to the crystals and the small steel balls this star gets more 'body'. This without getting the tragus uncomfortably big, but big enough the more than striking.